If you are a snowbird heading south for the winter, there are several key things you can do to help protect your vacant home. Taking these steps can help protect your home from theft, water damage, heating or electrical system malfunctions and other possible threats while you are away for an extended period of time. Forward your mail, stop newspaper delivery, and ask a friend or relative to collect flyers or other items that may be left at your door. Put motion-sensitive exterior lights and interior lights on timers and set them to come on at varying times to discourage prowlers. If a pipe bursts or leaks while you are away, it could cause significant damage. Consider completely turning off the water supply if no one will be in the home for an extended period of time. If your home is heated by an older steam heating system, consult with your heating professional to determine if it is safe to turn off the water supply for your particular heating system. Also, if your home is protected by a fire sprinkler system, do not turn off the water to this system. Drain your pipes of all water by opening the faucets, and flush your toilet to clear the water from the tank and bowl, then consider pouring antifreeze in toilet tanks and bowls to prevent any remaining water from freezing and cracking. * Always use non-toxic antifreeze rated for plumbing systems. Set the temperature at 55°F or higher to help keep the interior of the floor and wall cavities, where the water piping is likely located above freezing temperatures. Keeping room and cabinet doors open also helps heat to circulate and warm the areas where pipes are located. Consider shutting off and draining outdoor water faucets to prevent vandalism and freezing damage. Have a water flow sensor and low temperature sensor installed on your main water supply pipe and hooked into a constantly monitored alarm system or your smart phone. Have your heating system inspected and serviced before winter. Have your fuel tanks filled before you leave, and ask someone to check on heat and fuel levels regularly while you are gone. 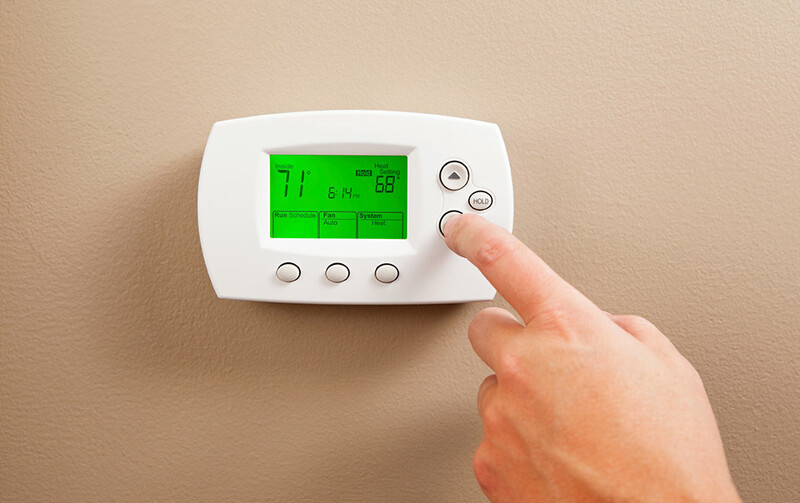 Be sure to maintain electrical power if required to keep the heating system running. If electrical service to the home is to remain on, consider having a licensed electrical contractor inspect your main electrical panel, wiring and outlets, if necessary. This way, they can repair or replace anything that may be defective. Unplug all unnecessary appliances before you leave. Make sure you can retrieve messages on your home answering machine or voicemail so it does not indicate FULL or unattended when someone calls. Notify the police department that the property will be vacant, and provide emergency notification numbers. Install smoke detectors on at least every floor (preferably tied to a constantly monitored fire alarm system so the fire department will automatically be notified in case of alarm), and confirm that the sensors and system are tested regularly. In higher wind-exposed or coastal areas, install storm shutters (or other mitigation measures, such as 5/8” marine plywood) to secure windows. Properly anchor personal property that will remain outdoors. Ask a trusted friend, neighbor or relative to keep an eye on your home and be available in emergency situations. Give them access to your home so they can regularly monitor heating, electrical and water systems. If the weather turns frigid, have them also check the roof for ice dams and inspect for leaks inside. Make sure they have your contact information and a list of local contractors they can reach if repairs or service are needed. Contact us to get the coverage you need this winter.